A new series of false and inflammatory anti-Israel ads have begun running on the Boston public transit system, known as the MBTA. The ads, which are well-done technically, recycle the usual discredited charges, such as alleged Israeli apartheid and alleged theft of “Palestinian” land. They are sponsored by a new Cambridge-based organization calling itself Ads Against Apartheid, which is associated with the site It is Apartheid. 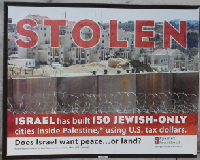 This ad, for example, charges that Israeli settlements are for Jews only, and are supported by US taxpayer dollars. Last year’s government spending on the settlements represents a 38 percent rise over that of 2010. But it is significantly lower than the peak of NIS 2.5 billion (in real terms ) in 1993, when the funds were geared toward infrastructure changes required by the Oslo Accords, according to Central Bureau of Statistics findings reported on Monday by Israeli business newspaper Calcalist. The report was prepared for U.S. officials to enable them to deduct the annual settlement expenditure from U.S. loan guarantees to Israel. In 2003 Israel stopped granting tax breaks to citizens seeking to move to the West Bank, after pledging to the United States that it would bring the benefits to an end. Thus, under law, US aid to Israel is not used in Israeli settlements, which disproves the ad’s claim that US taxpayer dollars are used to support settlements. An unanticipated consequence of Israel’s West Bank security barrier has been an influx of Israeli Arabs into Jewish neighborhoods in East Jerusalem who hope to remain on the Israeli side of the barrier. The rising prices in Arab neighborhoods are prompting people such as Mr. Kusideh to consider Pisgat Ze’ev, which was developed as a Jewish settlement in East Jerusalem in the 1980s. There, an influx of Palestinians is driving prices in the opposite direction. In 2007, the latest year with available statistics, about 1,300 of Pisgat Zeev’s 42,000 residents were Arabs. In nearby French Hill, population 7,000, nearly one-sixth are Arabs, among them students at the neighboring Hebrew University of Jerusalem. Neve Yaakov, with 20,000 people, had 600 Arabs, according to the Israel Center for Jerusalem Studies [presumably this is a reference to the Jerusalem Institute for Israel Studies], a respected think tank. 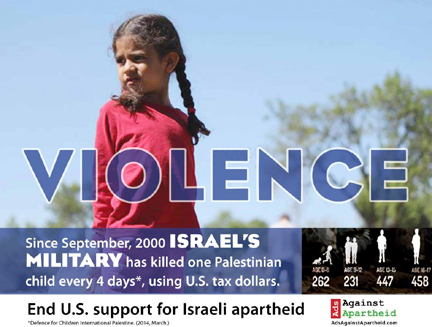 A second ad, which features a large image of an angelic looking young girl with an overlay in large type reading “VIOLENCE,” charges that since September 2000 the Israeli military has killed one Palestinian child every 4 days, which is again extremely deceptive. In part this is because the ad only indicates in the lower right hand corner in much smaller type than the word “violence” that this includes a range of ages up to 17-years-old. This is crucial, since most people would assume children means those, like the young girl above, who are less than ten or eleven years old. at the ad doesn’t show any pictures of armed Palestinian minors attacking Israelis. Furthermore, the vast majority of deaths of Palestinian minors occurred during intensely violent periods of conflict started by the Palestinians. For example, the so-called Second Intifada, which was started by PLO Chairman Yasir Arafat and lasted from September 2000 to 2005, accounted for 49 percent of the Palestinian minors killed during the period in question. … there were serious discussions that went on, and we were poised to present our ideas the end of September, which is when the intifada erupted. He knew we were poised to present the ideas. His own people were telling him they looked good. And we asked him to intervene to ensure there wouldn’t be violence after the Sharon visit, the day after. He said he would. He didn’t lift a finger. 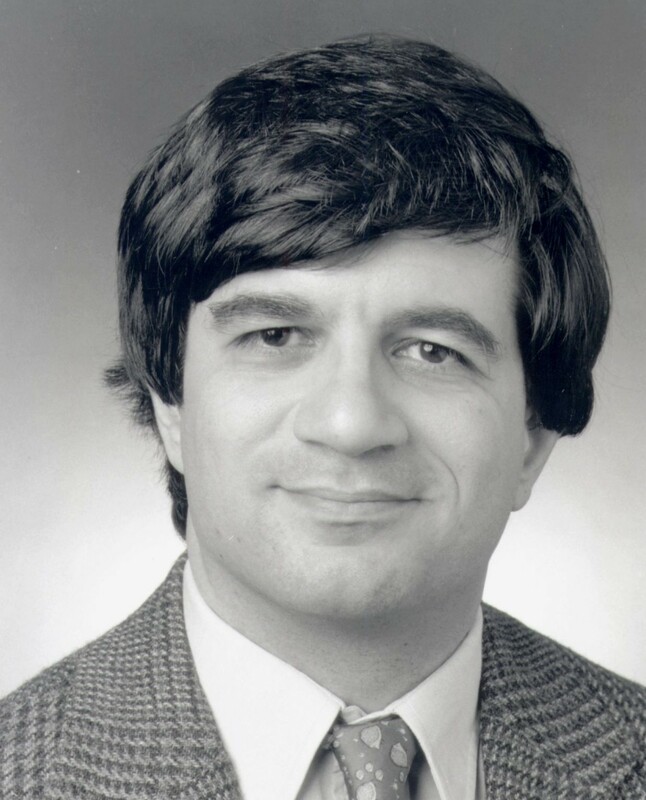 HUME: … might he not have concluded that the violence was working? ROSS: It is possible he concluded that. It is possible he thought he could do and get more with the violence. There’s no doubt in my mind that he thought the violence would create pressure on the Israelis and on us and maybe the rest of the world. Because Arafat started the violence and kept it going, it hardly seems fair to blame Israel for the consequences. Similarly, a further 25 percent of the total fatalities occurred during Israel’s Operation Cast Lead, an incursion into Gaza lasting from Dec 28, 2008 to January 18, 2009. The operation was in response to intensive Palestinian missile fire targeting Israeli civilians – since 2001, when these attacks started, well over 15,000 rockets and mortars have been fired from Gaza towards Israel. Especially in Hamas-ruled Gaza, Palestinian “fighters” routinely hide behind women and children by storing weapons in homes or mosques in densely populated neighborhoods, and by firing missiles into Israel from those same densely populated neighborhoods. See, for example, this report, which includes videos posted by Hamas, of missiles being fired from civilian areas. They have more experience and they have training from Syria and Iran. They helped them rethink their strategy. They fired rockets in between the houses and covered the alleys with sheets so they could set the rockets up in five minutes without the planes seeing them. The moment they fired, they escaped, and they are very quick. Hamas, not Israel, is therefore responsible for the vast majority of the Palestinian civilians killed in Gaza, because they illegally attack Israel from densely populated civilian areas, thereby hiding behind civilians including women and children. And Hamas’s use of minors as combatants, also illegal, makes them responsible for those deaths as well. In more peaceful years, when Palestinians are not attacking Israel, the toll is much lower. For example, in all of 2013 there were only five Palestinian minors killed, and at least three of those were directly involved in violent incidents. And even if one takes at face value the numbers from DCI, the organization does not seem to give any details on the circumstances of the deaths. In contrast the Israel-based organization B’Tselem, which keeps its own tally of Palestinian fatalities allegedly resulting from Israeli actions, does publish the circumstances (though one should note that B’Tselem is itself regarded by many as very biased against Israel). 17 year-old, resident of Beit Lahiya, North Gaza district, killed on 01 Mar 2010 next to Beit Lahiya, North Gaza district, by gunfire shell fired from a tank. Participated in hostilities member of the military wing of the Popular Resistance Committee. Additional information: He was killed by tank shelling while trying, with a group of armed men, to lay an explosive charge next to the perimeter fence. A 17 year old member of a terrorist group (The Popular Resistance Committee) who is killed while trying to “lay an explosive charge” – that is, an IED – is not exactly what readers of the ad would imagine as a child killed by the Israeli army. in hostilities member of the military wing of the Islamic Jihad. Additional information: Killed during an exchange of gunfire with soldiers east of Khan Yunis. Another 17 year old, this one a member of Islamic Jihad, a notorious terrorist group, killed in a gun battle with Israeli soldiers. Again, not quite the innocent child the ad would like readers to imagine. 17 year-old, resident of Khan Yunis, killed on 01 Jun 2010 next to Khan Yunis, by gunfire. Participated in hostilities member of the military wing of the Islamic Jihad. Additional information: Killed with another armed man in an exchange of gunfire with the army east of Khan Yunis. Another 17 year old Islamic Jihad member killed in a gun battle with Israeli soldiers. Again, not exactly an innocent child. 17 year-old, resident of Rafah, killed on 18 Dec 2010 next to Deir al-Balah, by gunfire missile. Participated in hostilities Additional information: Killed along with four other armed men when they were about to fire missiles into Israel, from south of Deir al-Balah. Yet again, not an innocent child, but rather an armed 17 year old about to fire missiles into Israel. 17 year-old, resident of Abasan al-Kabira, Khan Yunis district, injured on 01 Jun 2012 in ‘Abasan al-Kabirah, Khan Yunis district, by gunfire missile fired from a aircraft, and died on 03 Jun 2012. Participated in hostilities member of the military wing of the Popular Resistance Committee. Additional information: Killed while firing rockets at Israel together with other armed persons, one of whom was also killed. 17 year-old, resident of Hebron, killed on 12 Dec 2012 in Hebron, by gunfire bullets. Additional information: Killled trying to cross Checkpoint 160 in Hebron after attacking a Border Policewoman who was standing at the checkpoint, while he was holding a cigarette lighter made to look like a gun. Again, these two are hardly innocent children. The conclusion is clear – while there is no doubt that some innocent Palestinian children have been killed by the Israeli army, usually by mistake, and even in a few cases criminally, using the data as the ad does is exceptionally misleading and even suggests an intent to deceive the public. Finally, it’s notable that the site and organization behind these ads, It is Apartheid, is filled with the most lurid and false anti-Israel charges imaginable, which CAMERA has debunked in detail. Since the organization behind the effort deserves no credibility whatsoever, it should come as little surprise that the ads are blatant propaganda.